Hi loves! Hope you are having fab Saturday! 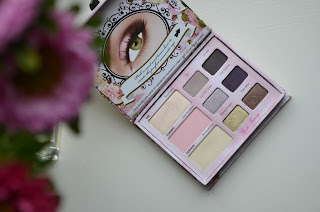 As many of you know by now I'm huge Too Faced fan and love their eye shadow palettes. 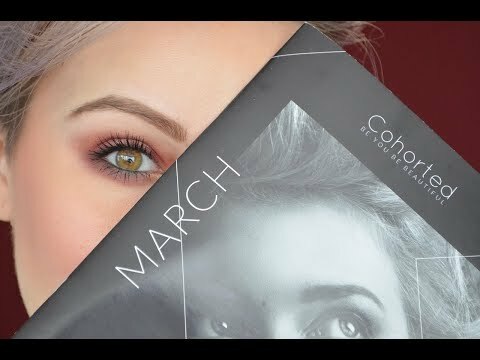 Their Romantic Eye palette ($36) has been among my favorites lately. I have been using it combined with other palettes, like the one from by Terry (review). 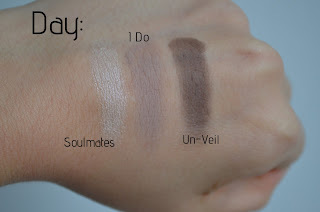 As known to Too Faced their shadows are put in to 3 different groups: day, classic and fashion. All 9 shadows are pigmented and buttery to the touch. The wear time is great as usually and I didn't experience any creasing or irritation. These where easy to blend and the shadows worked well with other shadows. I do like how many different looks I can create using only this palette. For that reason only it is my favorite palette to take with me when traveling. The middle shade from the first row is I Do and its dusty grayish brown shade with matte finish. I have used it mostly in the crease. The last shadow in the first row is Un-Veil, which has matte finish. Its a dark cool tone brown. The middle row is called Classic and the first shadow in this row is called Kiss the Bride. Its a matte light pink shadow, which looks gorgeous all over the lid. 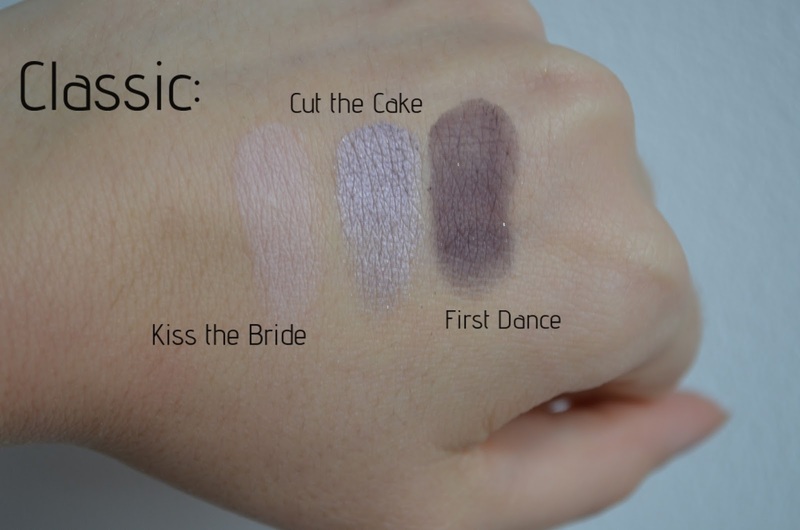 The second shadow from this row is called Cut the Cake and is my favorite from the palette. Its a shimmery dusty lilac shadow and I have been wearing it all over the lid. The last shadow in this row is called First Dance and is a matte dark purple shade. Perfect to darken up the outer V.
The last row is called Fashion and it contains some of my favorite shades. The first one is called Bouquet Toss and is a matte creamy white. I like to use it to highlight the brow bone. The second shadow is the funnest shade from the palette and its called Honeymoon. Its a metallic gold shade, so pretty! The last shade from this row is shimmery bronze called Ever After. 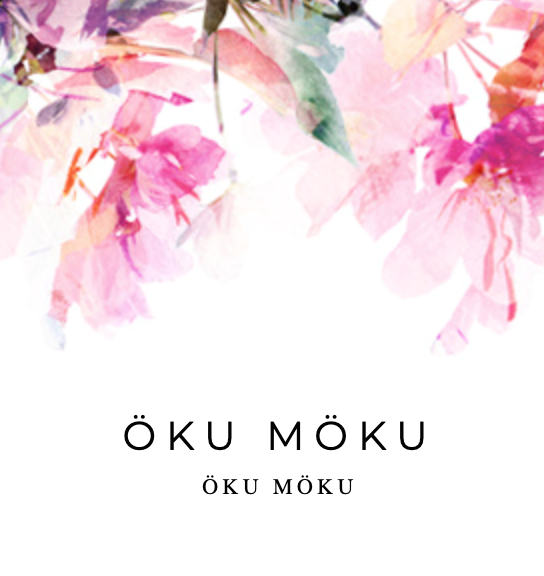 Its another great shade to add to outer V or on a lover lash line. I picked up mine from Beautybay, but its sold out there. Its still available on Too Faced page, which I'll link here. Which is your favorite Too Faced palette so far? so far I only have Sugar Pop but I do want to add more to my collection. That gold shade looks amazing!! It's so bright and pigmented! Thanks for the review! I own this one! Haven't used it in a while though. Probably time to bust it out! wow! 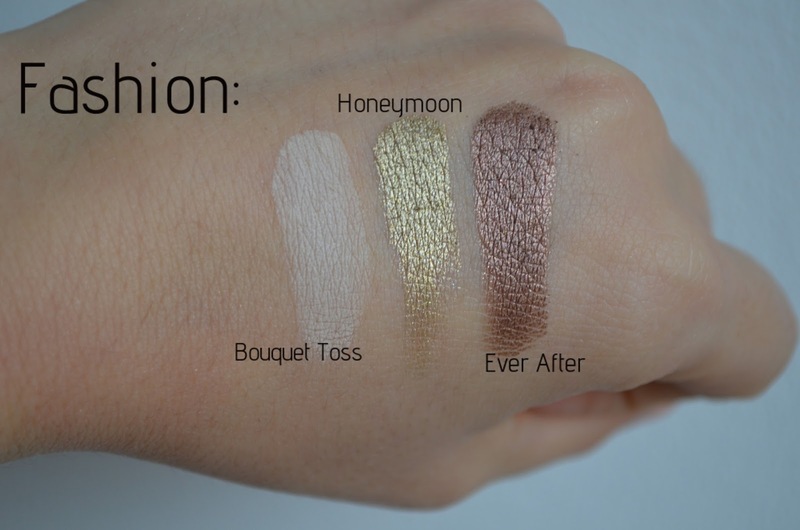 I LOVE Honeymoon, see how pigmented the color is, it's gorgeous! I love Too Faced products, wether it's their lip products, face products or eyes products; not only do they smell amazing, their products also works excellent! Honeymoon and Ever After are such gorgeous shades, I love the look of this palette! Oooh! I love the Ever after! The Day and Classic looks the same tho.